Egypt's new provincial governors: Who's who? Egypt's President Abdel-Fattah El-Sisi appointed on Saturday 11 new provincial governors, state news agency MENA reported on Saturday. The governors were appointed to the governorates of Alexandria, Suez, Gharbiya, Kafr El-Sheikh, Aswan, Port Said, Sharqiya, Minya, Giza, Qalyoubiya and Beni Suef. 1. Mohamed Ahmed Abdel-Zaher– Alexandria Governor: A civil engineer who served as the secretary-general for the governorates of Cairo and Alexandria. 2. 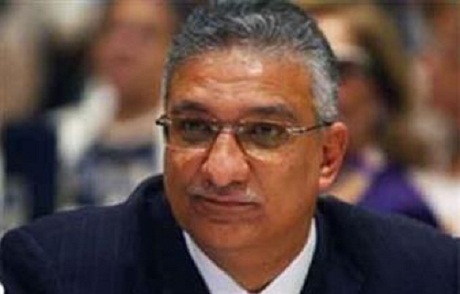 Ahmed Helmi Fathi – Suez Governor: A former military general who served as governor of Marsa Matrouh in 2012 under former president Mohamed Morsi. 3. Al-Sayed Ibrahim – Kafr El-Sheikh Governor: A former police officer who held several posts within the Ministry of Interior. 4. Magdy Fouad Hegazy – Aswan Governor: A former military general who served as deputy defense minister and held different positions in civil state bodies. 5. Adel Mohamed Ibrahim – Port Said Governor: A former military officer who served as a security consultant for the Suez Canal Authority. 6. Khaled Mohamed Saied – Sharqiya Governor: A former military general who held different field posts in the Egyptian army. 7. Mohamed Kamal Saied Al-Dali – Giza Governor: A former police general who served as the head of the Giza Security Directorate. 8. Tarek Hassan Nasr – Minya Governor: A former police officer and former head of Upper Egypt's Assiut Security Directorate. 9. Reda Farahat – Qalyoubiya Governor: A former police general. 10. Ahmed Deif Sakr – Gharbiya Governor: A former police general who served as the head of the security directorates of Upper Egypt’s Aswan and Luxor. 11. Sherif Mohamed Abdel-Aziz – Beni Suef Governor: A civil engineer who used to be the deputy head of the state-owned Arab Contractors Company. Congratulations to all of you and all the best. This is your mission. 1- Clean up the streets from drugs and corrupt Police officers. 2- Water, Electricity, Sewage systems. 3- Health care in the Hospitals and Schools. 4- Corrupt Government employee's. 5- Health and safety for the roads. 6-Unemployment and sort out the farmers issues. 7- Price list for goods in the streets markets, Shops and Republic services. Most important thing is, you should working in the fields 24/7 specially in the night to make sure the streets are clean and the Police are around in your City. You are like the President for your City, all we need to be honest and to do our jobs right. God bless you all and God save Egypt. We hope Mr President El- Sisi can read that. This is what Egyptians want. Mr Mohamed Kamal Saied Al-Dali congratulations and best of luck. We hope, you can clean Giza from drugs dealers and corrupt Police officers. All we need to be honest and to do our jobs right. God save Egypt. Again; Army and Police Generals! no clue on economic, social, and infrastructure matters of the Governates they supposed to manage! the same incompetence model bankrupting the country!